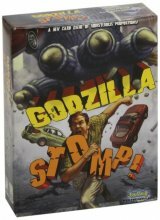 In this fast-paced game of citywide destruction, players pick from Godzilla, Mechagodzilla, Mothra, Battra, or Destroyah, and compete to smash as much of the city as possible. 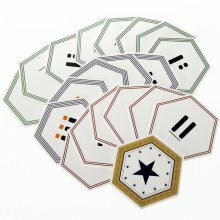 This lightweight card game includes 42 building cards and 30 monster attack cards, and is ideal for Godzilla gaming on the go. 2-5 players can play a speedy game of monster mayhem anytime, anyplace.